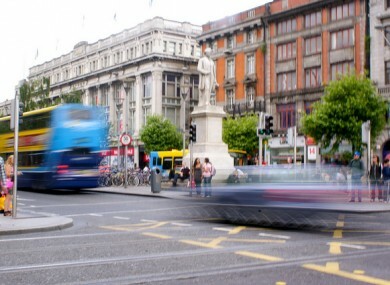 PLAINCLOTHES AND UNIFORMED gardaí have been patrolling Dublin’s O’Connell St as part of a new initiative, and over just four days they have seized drugs, given warnings and searched 304 people. This is all part of Operation Spire, an initiative that itself is part of an ongoing strategy targeting anti social behaviour and drug dealing on the busy O’Connell Street in the capital. It combines uniform patrols with covert plainclothes officers working together to help clean up the street. In addition to this, small quantities of drugs – including diamorphine, cannabis herb, cocaine and diazepam – were seized, as well as “significant amounts” of prescription drugs such as Zimovane. Operation Spire follows on from a previous garda initiative on O’Connell Street, and is part of an “overall strategy” to address the street’s problems with drug dealing and anti-social behaviour. Email “Four days on O'Connell St: Drug dealing, warnings and 304 garda searches”. Feedback on “Four days on O'Connell St: Drug dealing, warnings and 304 garda searches”.